Hide the carrots and your marshmallow and popcorn ball snowmen. 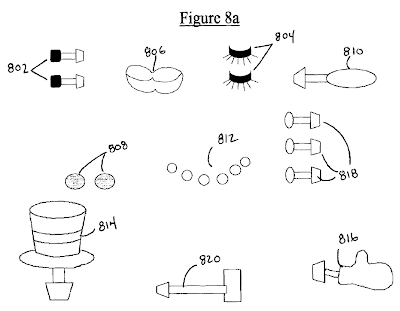 On September 6, 2011, inventor Ignacio Marc Asperas of Melville, NY was granted a US patent on the Apparatus for Facilitating the Construction of a Snow Man/Woman. 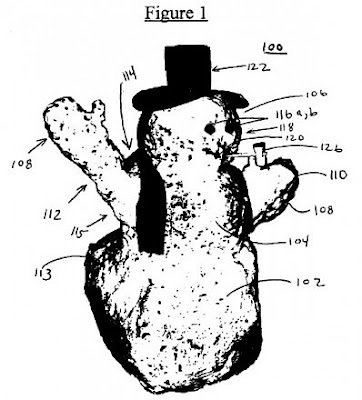 Mr. Asperas, who now owns the man with the long orange nose and funny hat, insists this is no snowjob. 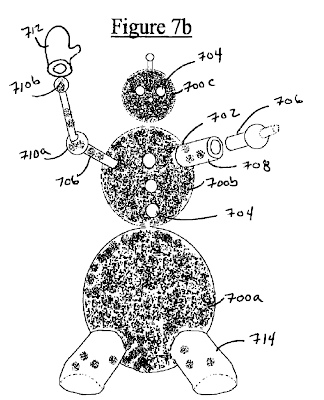 His revolutionary method for creating a better snowman and woman is outlined here in a 25-page US patent report. 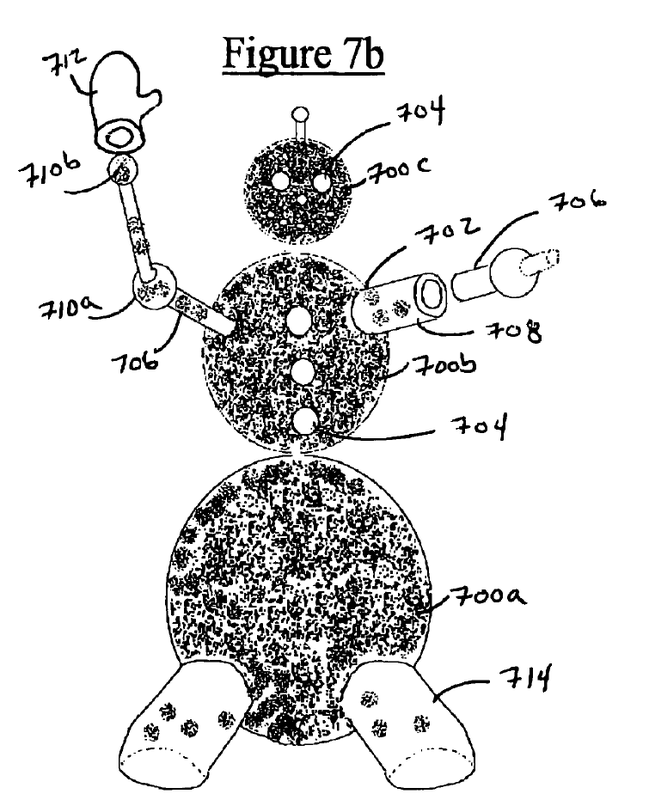 With many years of experience in building snowmen, Asperas had enough of premature melt problems causing oddly shaped snowballs, misshapen torsos, adornments falling off because of deformities, or not enough snow to make a snowball because of declining snow levels. He describes having a flash of genius, when he determined a snow boulder could be lighter in weight just by rolling the snow around a hollow sphere, and made with a minimum amount of snow so it could be easily moved. The perfectly symmetrical snowballs would avoid the unevenness that results in a "big caboose" and allow for easy stacking on top of one another. 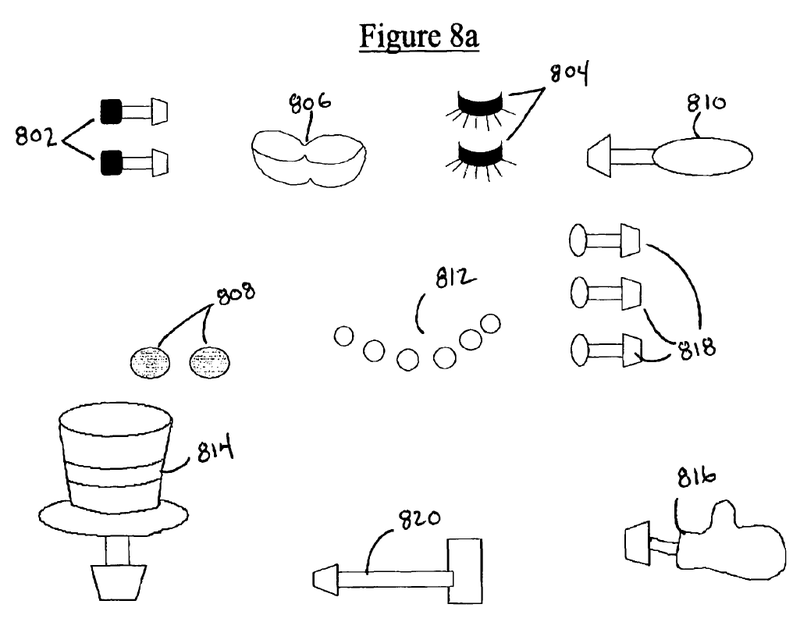 Asperas insists he has no plans to sue young children who infringe upon his new patent. :: My thanks to Buster for this important Winter alert!